Funeral services for Dr. Constance Tarasar, 76, a pioneer in the field of Orthodox Christian education, will be celebrated at Saint Mary Cathedral, 1629 Fifth Street NE, Minneapolis, MN at 10:00 a.m. on Wednesday, November 12, 2014. Visitation will be held at the Kozlak-Radulovich NE Chapel, 1918 University Avenue NE, Minneapolis, from 5:00 p.m. until 7:00 p.m. on Tuesday, November 11, with the celebration of a Parastas at 6:00 p.m. Visitation will continue at 9:00 a.m. on the morning of the Funeral, after which interment will take place at Saint Mary Cemetery. Dr. Tarasar was born in Minneapolis, MN in February 1938, the daughter of the late John and Rose Tarasar. Baptized and raised at Saint Mary Cathedral, she received her undergraduate degree in English Education from the University of Minnesota, where she was active in the Orthodox Christian Fellowship and helped organize panel discussions on Orthodox Christianity in the Twin Cities area. She taught English at the middle school level before enrolling at Saint Vladimir’s Seminary, Yonkers, NY. In 1965, she became the first woman to receive a Master of Divinity degree from the seminary. Her years at Saint Vladimir’s would prove eventful, even determinative, for her life. There she met Protopresbyter Alexander Schmemann, who became her theological inspiration and lifelong mentor. As the first woman admitted to the seminary’s MDiv program, she wrestled deeply with the role of women in the Orthodox Church – a topic which she traced from the historical and dogmatic perspectives in her thesis. After completing her MDiv, Dr. Tarasar began organizing religious education workshops at parishes around the country to aid in the establishment of Church schools. Subsequently, she became the Executive Secretary of the Orthodox Christian Education Commission [OCEC], the pan-Orthodox agency established in 1956 by Father Schmemann and Mrs. Sophie Koulomzin that aimed to define and shape Orthodox Christian education efforts in the US setting – something that had hitherto received little attention. As the OCEC turned its attention to curriculum development, she was at the forefront, working closely with Mrs. Koulomzin. In 1966, Dr. Tarasar published the first of a lengthy corpus of writings, titled “An Orthodox Curriculum in Development.” In the ensuing years, as OCEC’s Executive Secretary, she oversaw numerous curriculum revisions and the publication of texts and teacher guides for all grade levels. In 1970, she began teaching religious education and related elective courses at Saint Vladimir’s Seminary. She also served for many years as the Director of the Department of Religious Education for the Orthodox Church in America. In 1976, Dr. Tarasar was selected to represent the US at an international Orthodox Women’s Consultation at Agapia Monastery in Neamt, Romania, which explored the role of women in the Orthodox Church in modern society. The following year, she edited a collection of the Consultation’s presentations. Increasingly, she became a regular contributor to ecumenical discussions on women’s roles and issues. After leaving the OCEC in the late 1980s, Dr. Tarasar turned her attention to research and writing while completing the EdD program at the State University of New York–Albany. In her 1989 doctoral dissertation, she proposed a curriculum design model for Orthodox Christian education. She also produced a small group of articles and book chapters and continued her involvement in curriculum development. Her accomplishments in this regard were substantial: her materials were no doubt the most widely used in US Orthodox communities. After the fall of communism, she also was engaged in writing textbooks for an international Orthodox curriculum for Romania, Russia and other central and eastern European countries. Dr. Tarasar held numerous other positions in the OCA, including Managing Editor of The Orthodox Church newspaper. She initiated production of the large array of on-line curriculum resources—the FOCUS Curriculum—found on the OCA’s Department of Christian Education web site. 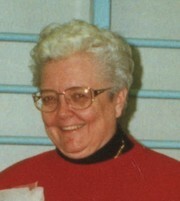 She formally retired from Saint Vladimir’s Seminary in 2003, after which she relocated to Minneapolis. She continued to consult for the OCEC for several more years, despite her declining health. Dr. Tarasar is survived by two sisters, Margaret Vajda and Mary Weise; one nephew, John [Cassandra] Vajda; three nieces, Susan [Daniel] Turzinski, Dana [Robert] Brown, and Karen [Craig] Hendrickson; and seven great nephews and nieces. A comprehensive list of Dr. Tarasar’s writings and work, a detailed survey of her contributions to the field of religious education, and related resources may be found here.